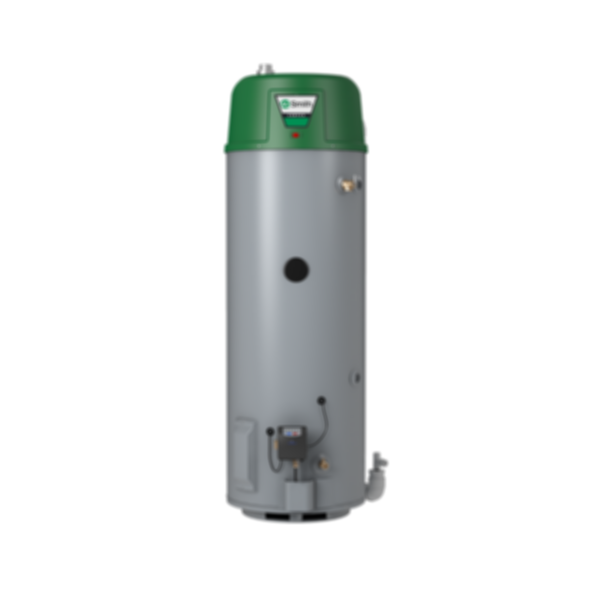 Height: 68 5/8" Width: 22" Depth: 27"
The GPHE-50 Vertex™ Power Vent gas water heater is designed specifically to generate a constant flow of 3 gallons per minute, resulting in continuous hot water for your home. Featuring a 50-gallon (nominal) tank and a 76,000 BTU gas burner, the GPHE-50 Power Vent delivers a thermal efficiency of 94%, a Uniform Energy Factor of 0.88, and a recovery rate of 95 gallons per hour. It carries a 6-year limited warranty, and meets Low NOx emission requirements. Height w/Draft Hood: 71 1/8"